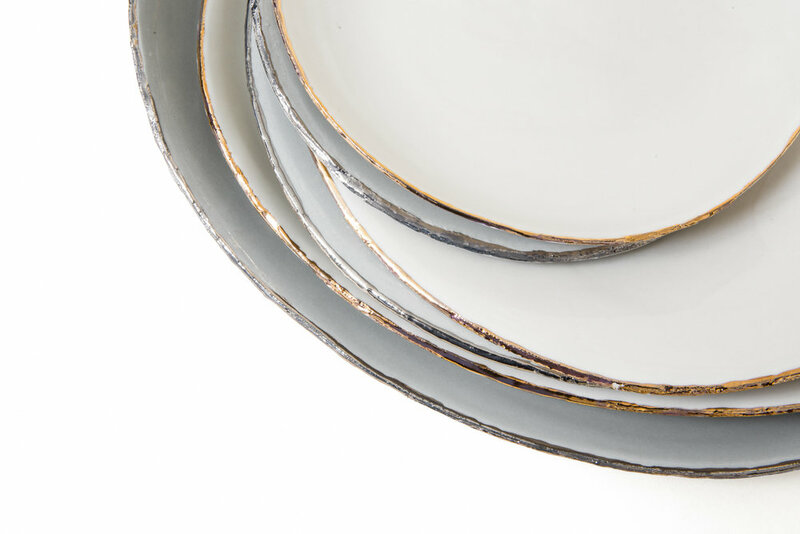 Below please find links to each porcelain collection's look book and line sheet by clicking on the image. Unique handcast porcelain objects and dishes. Stellar is heavily influenced by space/the cosmos/galaxies, but also arctic landscapes, American deserts, and many of the contemporary artists and photographers that I follow. 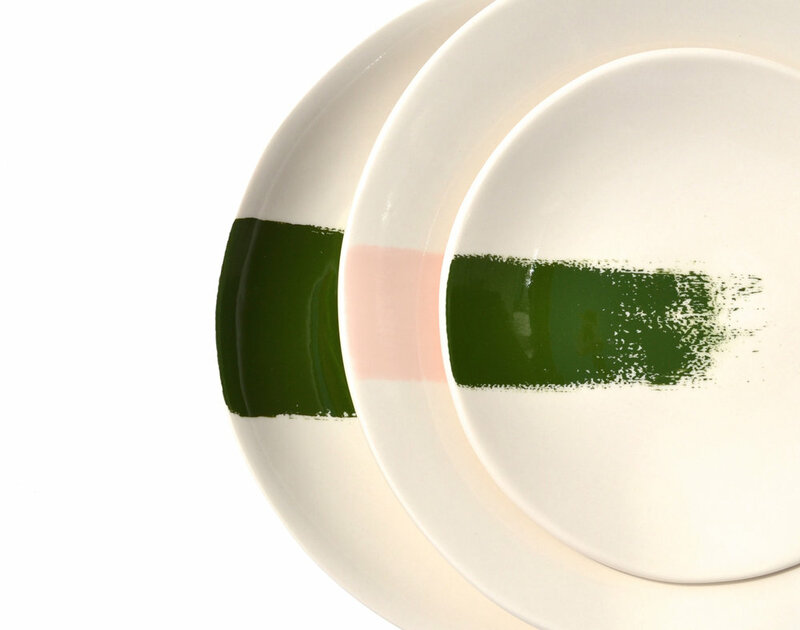 Handcast dinnerware in ivory porcelain with colored porcelain brush stroke. Stroke is obviously minimal, but reveals texture through the application of color.